Just out of interest, whats your position size approximately? Its currently my largest position, but at 7%, its manageble. The oil price will impact them indirectly. At 3x TTM earnings, the question I ask myself, will they be around three years from now? I think the probability is very low that they will go belly up because of this. Over a period of three years, with a likelihood of a weaker year next year, the earnings power should revert and this business should continue to compound your wealth at a healthy clip. The major thing I am worried about is the FCF generation, which has been mediocre. BTW, how did you find out 50% of group sales were from Angola? I cant find a regional split. It’s still almost twice your position size :). I made it a big bet in 2013, and then it only grew because of the outperformance relative to my portfolio. About looking at the P/E ratio: I think it is probably better to look at comprehensive income because incurring FX losses is probably part of the business if you do your work in high interest countries. Not that it makes a huge difference: still 4x PE. I don’t know if you should expect earnings power to revert in Angola, unless you also expect the oil price to revert, since lower oil will be a permanent impairment of Angola’s wealth. It might be that Angola can find other sources of growth for their economy (they probably will, eventually) or that Conduril can find growth outside Angola to offset the decline there, but that’s not going to be easy since they do face a lot of competition. Comprehensive income will take another hit this year. Question is if this a permanent loss of wealth. Im not going to forecast the oil price, but I doubt 60 dollar oil is sustainable over the long term, given the cost structure of the current supply of oil. Barely any new Oil investment project is economically profitable at these levels. Given the natural depletion rates of Oil of 4-5% annually, supply should dwindle and prices should revert at least somewhat. Where prices will go over the long term I don’t know. 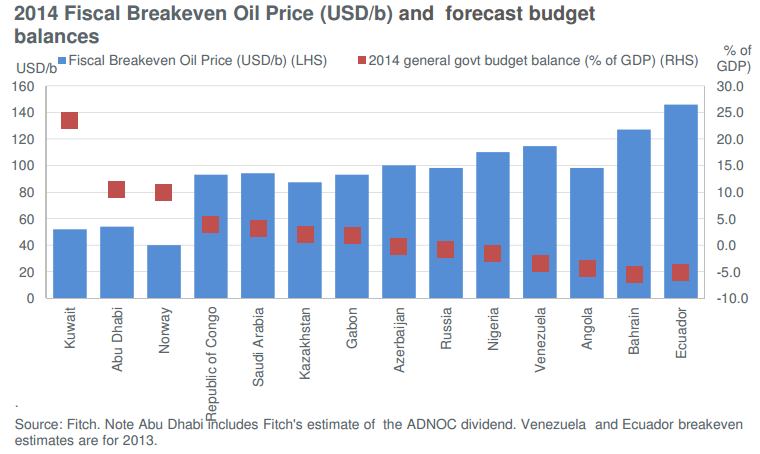 I don’t want to predict the oil price either, but I wonder how static those cost structure numbers are. When day rates for rigs would drop for example with 50% the cost of getting oil out of the ground must be going down. And there are also plenty of suppliers to the O&G industry that have been earning fat margins, so a lot of room lower costs? In case of Mota-Engil Africa I contacted investment relations. I asked them if they can hold on to their targets now the oil price is declining. They responded to me that non of the projects in their pipeline is oil or gas related. They also made clear that their dependence of Angola is declining. In their pipeline only 12% of the projects is in Angola. In comments about Mota-Engil Africa I read about the dependece of oil and Angola all the time, I think the market is misjudging Mota-Engil Africa. At the current value the stock trades at a P/E of less then 7. The pay-out ratio will be at least 50%, wich will result in a yield of 6,6%. “They responded to me that non of the projects in their pipeline is oil or gas related.”. That is besides the point. The Angolean goverment gets 80% of tax revenue from oil export. The bear case is that the government basically goes broke with sustained low oil prices. In that case _any_ large project will have problems getting funded. Estimating the chances of this happening & the effect on either Conduril or Mota-Engil is a different problem. Could be that the market is overreacting – I don’t know. In my opinion, you focus to much on macroeconomic factors the implications for which are difficult to predict in this specific case. In might be that Angola will increase its investment in infrastructure in order to get away from its current high dependency on oil. Also it is difficult to predict the long term development of the oil price (or any commodity). Most projects of CDU are, however, long-term projects. You could be right, but I also think it’s unwise to not recognize the situation as it is. I’am not making some fancy macro economic prediction here. Just stating the obvious: Angola depends for 80% on oil revenue to generate tax income, and Conduril depends for 50% on Angola to generate revenue. With oil down 50%+ Angola is now a lot less wealthy than it was a couple of months ago. Conduril might be able to replace lost revenue in Angola with revenue from other countries (they did this successfully with Portugal after all) or Angola might be able to fund the same amount of infrastructure projects anyway despite significant lower tax revenue. But these are certainly not 100% probability events and as such the present value of Conduril is lower now than when it was when it could count on infrastructure projects in Angola funded with oil dollars. And it’s hard to imagine (IMO) that that low oil prices will be a net positive for Conduril. I’am not saying it is impossible since the world can work in unexpected ways, but I don’t think it’s a smart bet to make. Most often things just work like you would expect them to. For example the recent recession in Spain/Portugal had exactly the expected impact on the available infrastructure work in those countries: for years now at an almost zero level. I wonder if anyone here has filed a request for refund of the (refundable portion of the) withholding tax. According to the information I received from the bank, the processing at the tax authority in Portugal is very slow and some requests are rejected for even minor formality issues. @Alpha Venture: In the 2014 AR, there is some mentioning that Conduril plans to expand its business to Latin America. This geographic diversification might make sense, also in view of the lower language barrier for a Portuguese company, which operates also in Spain. I haven’t tried it: I would have needed to pay sky-high fees (around 1000 euro’s) to some bank in Portugal that my broker uses for custody. And I believe that in the 2013 interim report they already talk about Latin America. But so far nothing has happened I think.